This little fire spirit wants to bring some heat to your home decor! 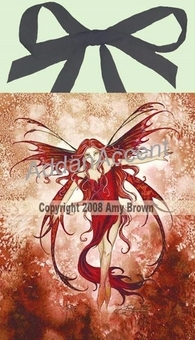 Done by artist Amy Brown, the fairy has flaming red hair and a crimson outfit to match. 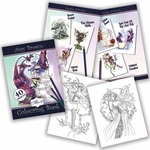 Her wings, of course, are also done in fiery hues! The ceramic tile will certainly brighten up a room!